Videotaped and interviewed for the DVD re-release of "Mike Austin - Secrets from the Game's Longest Hitter". Interviewed by Travel & Leisure Golf Magazine. Be on the lookout for it in the upcoming months. In Los Angeles, California from May 7th to 16th to tape Dan Shauger's instructional video and shoot my own personal instructional video. In Los Angeles, California for an interview with ABS about Mike Austin. In St. Louis, Missouri from October 5th to 7th to put on a Mike Austin golf swing clinic. 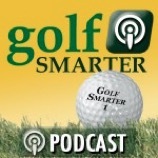 Was a guest again on Golf Smarter Podcasts. Have a listen to Episode #336 below! "GSfMO#337 Mike Austin over drove a 450 yard hole while in his 60s! Jaacob Bowden lowered his handicap from 14-scratch with his method and now he’d like to share it with you. 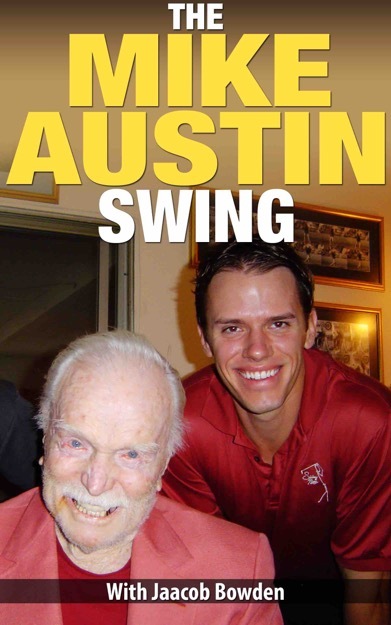 Austin is gone but Jaacob met and studied his method of keeping the club face square through more of the swing." 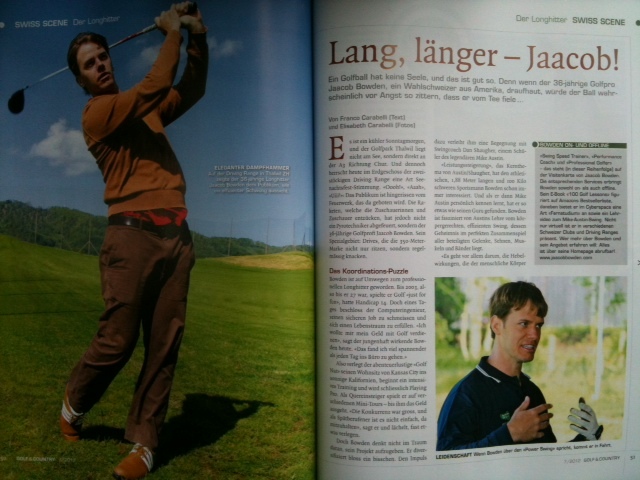 Be sure to check out the 3-page article about me in this month’s Golf & Country Magazine! 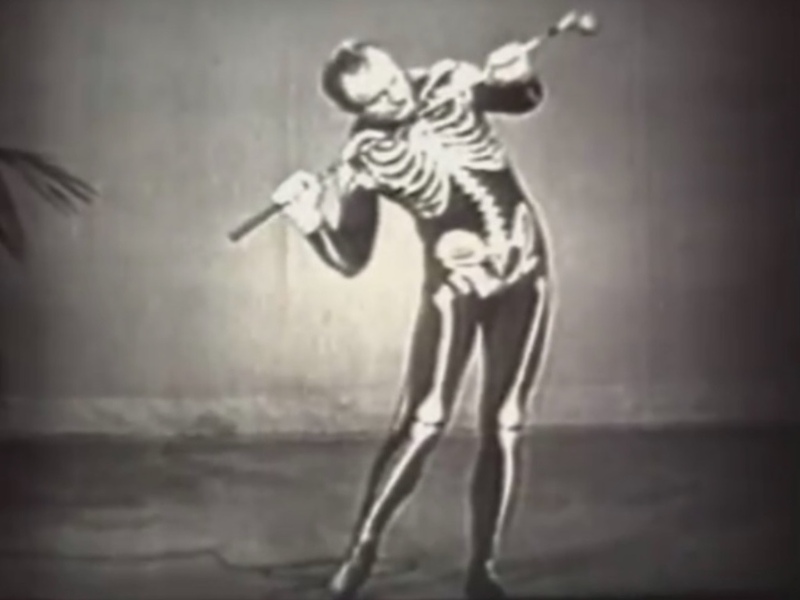 Swing Man Golf is now offering Mike Austin’s Austinology video series. 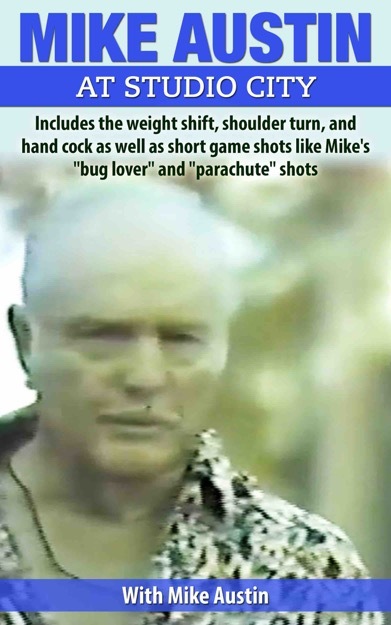 Mike Austin at Studio City has just been released over at Swing Man Golf. 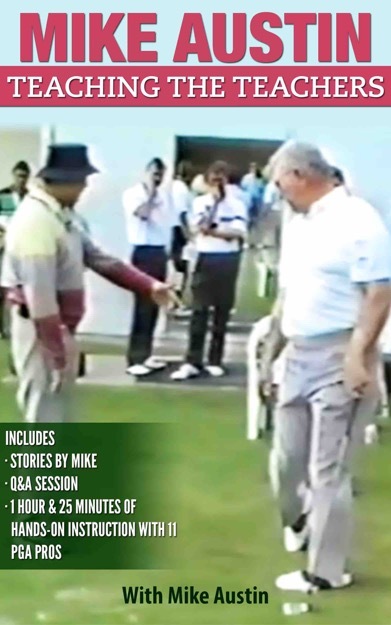 In celebration of Mike Austin’s 515-yard drive in September of 1974, Swing Man Golf has now released another video as part of Mike Austin Month…this one is called Mike Austin Teaching the Teachers! 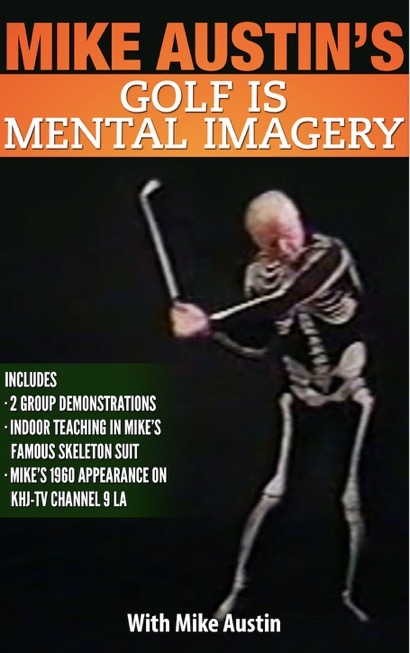 Swing Man Golf is now offering Mike Austin’s Golf is Mental Imagery video series. Catch me in the July/August 2004 issue of Travel + Leisure Golf Magazine in David Hochman's article "Mighty Mike Austin and the 515 Yard Drive"!!! In Part 1, I wrote about how I think this concept of jumping up with both feet for more power may have come about in part due to misinterpretation of still photography and force plate data, self-propagation, and a possible case of correlation vs causation. I also covered reasoning why these players are often airborne, and that can be from flawed setups that include overly wide stances and/or lead foot positions that are too closed at setup or a re-planted lead foot that ends up too closed during the downswing. In Part 2, let’s look at what I feel is a better alternative, the one foot jump. To me, it’s safer, it doesn’t complicate ball striking as much, and it can still generate huge amounts of vertical ground force.